Our furry friends are truly a part of the family! Although we appreciate our dogs everyday for the unconditional love they provide us, there is no better time to show Fido how much you truly love him by celebrating National Dog Day with a special day trip! Take your dog to a pet friendly restaurant or dog park to give him a day he will never forget! Ready to go on a day adventure with your dog? Follow these get tips to enjoy National Dog Day to its fullest! The first step is to decide where you and your furry friend are going to go. There are so many great options in the Wellesley & Metrowest Boston area! We will make your planning easy by recommending these awesome, local dog friendly spots! Petit Robert Bistro (45 Chapel Street) in Needham has delicious french food for you and a dog-friendly patio for your pooch! Sip on some red wine while your dog hydrates with water from the provided water bowls! Not only humans love a cool treat on hot summer days! Your dog will love some ice cream from Cedar Hill Diary Joy (331 North Avenue) in Weston. Centennial Reservation (150 Oakland Street) in Wellesley is a dream come true for your dog! With almost 2 miles of trails, your dog will get plenty of exercise in a beautiful natural setting. And, when he gets too warm? He can take a dip in Bezanson Pond with the other pooches to cool off. 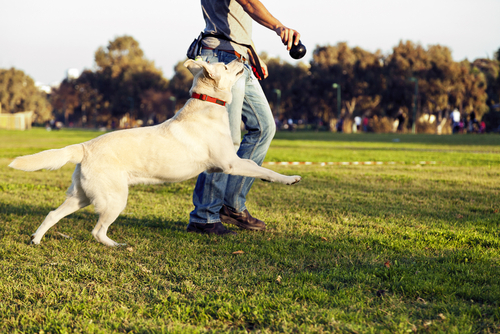 Needham Dog Park (145 Pine Street) is a special spot for your furry friend. Let him off the leash in one of the two fenced off dog areas. Don’t let the name fool you….Cat Rock Park (Drabbington Way) in Weston is a dog paradise! Give your pet a full day of exploring of the lease on the trails, open fields, and swimming area. With the hot summer weather, you want to ensure that your dog is comfortable during the entire trip. Make sure your car is fully gassed up before you add him as a passenger to avoid making additional stops that will leave him in the hot car. Add any pet-friendly accessories to your car to make the trip easier and more fun. Put a blanket or extra cushions in the backseat so he is more comfortable on the trip. You can use a console cover to keep your dog in the backseat where he is safer and able to spread out more. Your dog needs lots of water! Make sure to pack plenty of water bottles to keep him hydrated along with a bowl so he can easily drink it in the car or at your final destination. Beyond making sure your pooch is comfortable in the car, make sure to remember safety once you hit the road. Harness them into their seat to keep them safe in the event of a sudden stop. While on the road, use the air conditioner and only crack windows a little bit. Although your dog loves the fresh air, it can be dangerous for them to have their heads too far out the window and there is always potential for them to jump out. See an unexpected stop on your way? Make an extra spot. It’s your dog’s special day so make sure they are able to experience all that they might want to. Or, remember the spot for in the future and take your pet back there the following week. Bring some delicious treats for you and your furry friend. Pack a picnic for you and your family. Be sure to throw in something extra special, and healthy, for your dog as well! A photo lasts a lifetime so be sure to grab your camera to capture all of the fun that you and your beloved dog have throughout the day! We hope you and your four legged family member have a very happy National Dog Day!